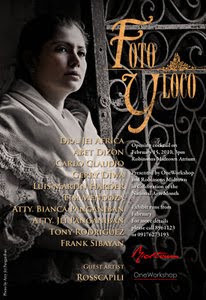 The opening cocktail of Foto Yloco will be held at Robinsons Midtown in Malate, Manila on Feb 15, 2010 at 3pm. In celebration of the National Arts Month, OneWorkshop and Robinsons Midtown Manila features “Foto Yloco”, a collection of 40 captivating photographs of Vigan, Paoay, Laoag, Cape Bojeador, Bangui Windmills and Pagudpud. These signed edition photographs were culled from a two-part travel photography workshop, jumpstarting the Travel and Ecological Photography Series 2010 facilitated by artist Ross Capili. Exhibiting photographers are Dra. Jei Africa, Abet Dizon, Carlo Claudio, Gerry Diwa, Luis Martin Harder, Tim Mendoza, Atty. Bianca Panganiban, Atty. Jei Panganiban, Tony Rodriguez and Frank Sibayan who are based in Manila, San Francisco, Sweden, Norway and Malaysia. The exhibit will run from February 15 to 21, 2010 at the Robinsons Midtown Atrium. For more information, please call OneWorkshop at (632) 8961123 or +63.917.6273193. Tell me if you're interested in posting my article. Thanks for your time!